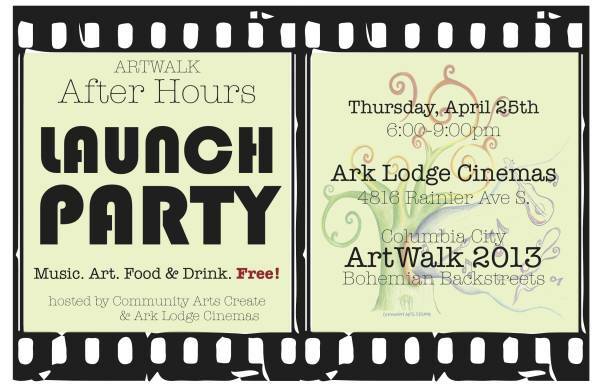 The Columbia City Art Walk is soon approaching. To celebrate our 3rd season, Community Arts Create (CAC) is hosting a launch party to herald summer's return. 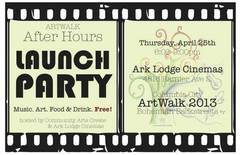 In participation with Ark Lodge Cinemas, CAC will host an evening event to launch our new Art Walk after-hours party. This free party will have live music, live artists, food, beer, and more! Join us and invite your friends for this happy hour-ish celebration. Guest performance by the Steve O'Brien Jazz Trio! Get a sneak peek of the exciting plans for this summer's CC Art Walk! We will be using their upstairs event space.